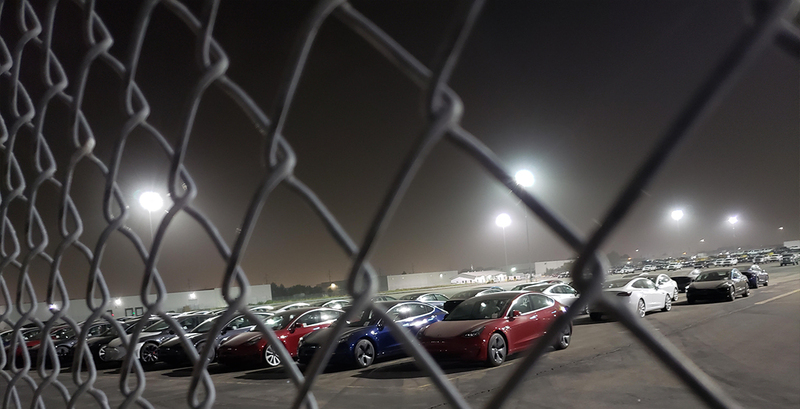 Tesla's self-proclaimed "production hell" has enabled the automaker to produce its entry-level Model 3 in large quantities, rapidly filling the backlog of vehicles that the company built for itself while taking deposits. Now, Tesla must face another growing pain as it scales: logistics. CEO Elon Musk took to Twitter several times this weekend to address the automaker's trouble with getting logistics sorted for the delivery of its vehicles and spare parts, with one of his social interactions targeting a specific situation that The Drive reported on last Friday, which involved several vehicles being held at a Union Pacific railyard. According to the tweet below, one of the soon-to-be owners, Megan Gale, reached out to Musk for an explanation of the status of her Model 3. 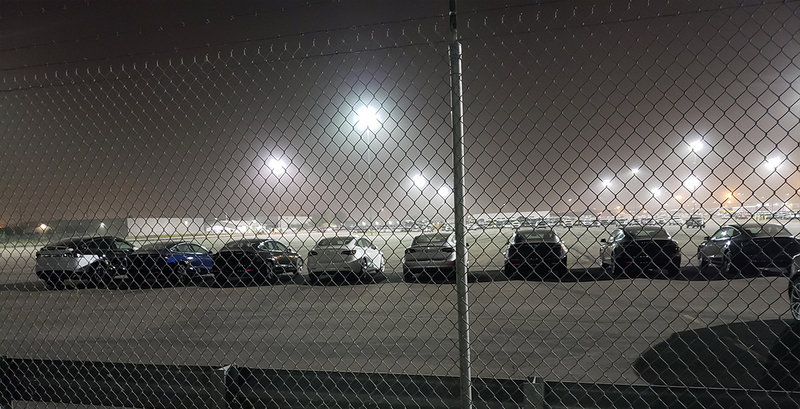 As of the time of this writing, the current reason for why the Model 3s are being held at the railyard is unknown. 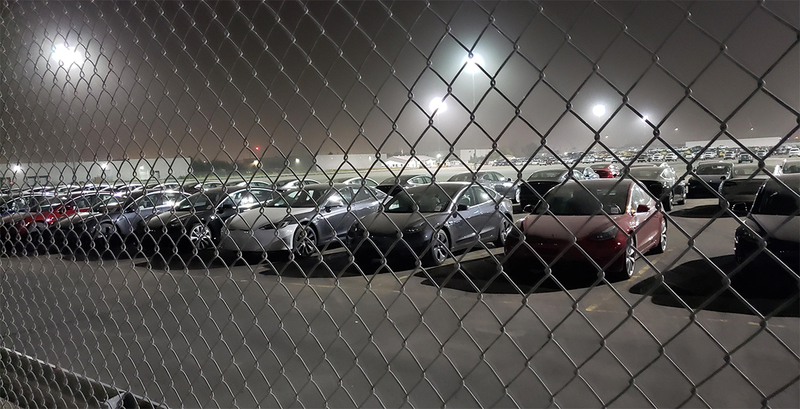 Last Friday, a Tesla spokesperson confirmed to The Drive that the cars were unloaded, but did not comment on the whereabouts of the vehicles. According to Musk's Tweet, Tesla may have identified concerns with the delivery process as a whole, calling the overall situation a "delivery logistics hell". Musk also mentions that this particular problem is much easier to create a solution for and the automaker is already working to rapidly resolve the issue. A Tesla spokesperson confirmed to The Drive on Monday afternoon that the vehicles at "SLC had been unloaded and were in Tesla's possession," but didn't offer any further updates on when they will be transported to nearby service centers or delivered to waiting customers. Gale sent us the following photos of the vehicles parked at the Union Pacific railyard. Other logistic issues that were brought to light over the weekend included certain aspects of collision body repairs being back to in-house Tesla body shops, noting the length of time which third-party shops take to complete jobs is too long for customers to stomach. One Twitter user mentioned that this was blamed on the length of time it takes Tesla to deliver parts to the shops. Musk again brought up that there are issues with delivery logistics that Tesla is looking to resolve over the next few weeks. Starting a new car company isn't an easy task, especially one which is seen as an innovator in an established industry. As Tesla begins its ascent out of production hell, its bound to hit a few bumps along the way.